This painting is part of Ting Yuen's Artist Diary Series. 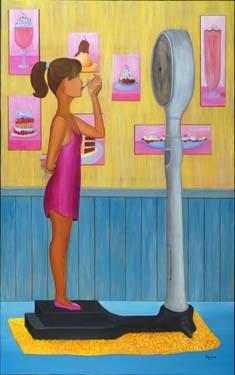 This painting is about my love for desserts. Sweets! three, enjoy it but don't have a dozen more!